This time around, the best venue of the month goes to Ananya’s nest- Coimbatore. Let’s read through the story to understand why Reservado picked this venue! NOTE: *All characters are fictitious- created for story-telling purpose only. *Vanitha was anxious; her daughter’s birthday was nearing, and she was yet to find a cute, cozy venue for the party. Being new to Coimbatore, and working full-time at an IT firm, she was hard-pressed for time; scouting the area for a hall would be costly, and time consuming for her. 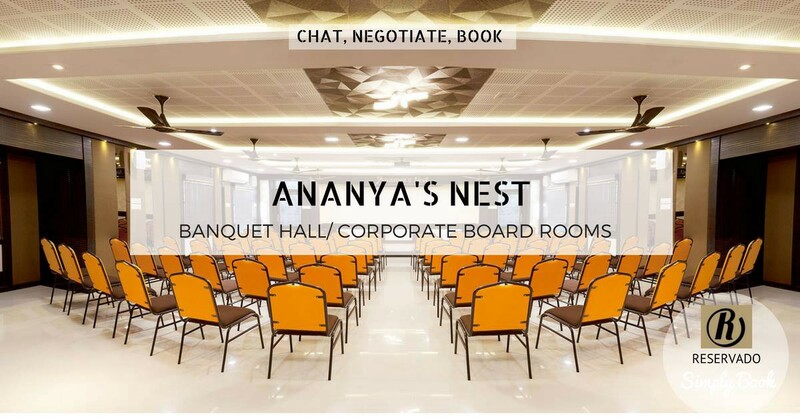 When Team Reservado chanced upon this request, it was fairly straightforward for us to pick – Ananya’s nest. Not only did this venue fit Vanitha’s requirements to a T, it also offered several other benefits to add to the event experience. For one, Ananya’s nest has a homely feel, and also offers awesome food. Furthermore, this venue has audio systems required to conduct games, and entertain the guests. To top it all, it is available at wallet friendly rates! Located in a residential area, this venue is perfect for Vanitha’s requirements. Not just Birthday Parties, Ananya’s Nest is also ideal for corporate get-togethers, board meetings, and more! Do you wish to book this venue? Then Logon to Reservado’s website; Send a message to the venue manager, negotiate, and book the venue! Do you want to get the best rates for this venue? Reservado will help negotiate! Write to contact@reservado.in today (along with your requirements!)! NOTE: This venue does not encourage refunds under ordinary circumstances.